I finished this book so many months ago and haven’t been able to bring myself to actually sit down and write this review. 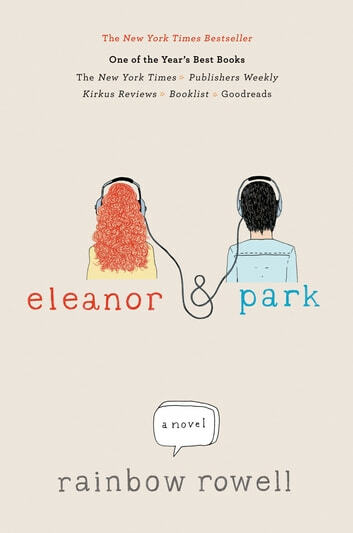 So often I have heard of people saying that certain books have given them “all the feels” and, honestly, I haven’t experienced that moment… until Eleanor & Park. This book gave me all the feels. Having been bullied myself in school, it’s one of the biggest societal issues that I feel extremely strongly about and books that deal with bullying and overcoming bullying are high on my reading list. More than ever we hear about bullying, with the internet making it so much easier for cyber-bullying to occur. Even though Eleanor & Park takes place in the 80′s, so much of this book still rings true to present day. Until we all learn to respect each other and bullying is eradicated, these types of stories will be relevant and timeless. 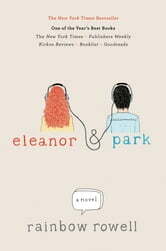 Eleanor & Park was so heartwarming and heartbreaking at the same time. There were so many moments where I found myself rooting for the star-crossed duo, but cringing as I wait for the other shoe to drop. Rowell has written such a beautiful love story in the midst of a very ugly world that Park and Eleanor have to live in. Absolutely impressive, saccharine-free account of first love. Literary cousin of the old teen tv shows My So-called Life, and Freaks and Geeks. The psychology of the main characters seemed spot on, and the novel subtly exposed the potential damage to adult loving relationships when a child grows up neglected and abused. A must-read. I wish it hadn't ended! Wow, what a great book! Really, I give it 4.5 stars. (I found the use of bad language, although probably realistic, distracting.) But other than that, it was really a perfect read. I loved the third-person point of view from two characters' perspectives. I love how the characters' love for each unfolded. I love how I felt about these two imperfect people. Really, what's not to love? Beautifully executed. I can't wait to red the next thing by Rainbow Rowell. Let me start off by saying I have never written a review before. You could blame it on my hectic med school schedule or just plain laziness. Whatever the reason, this was the perfect book to start with. This book made me warm, warm in my heart, brain and soul. Rainbow has such a way with words, specifically words that describe the soft mutterings between lovers, but it is so much more then that. I found myself rereading certain passages or lines because it simply melted my heart. It made me feel nostalgic for my first love but not in a sad way, but in a warm teary-eyed way. It madw me laugh and cry right in the middle of an airport while waiting for a flight, I couldnt help myself. This book in no way shook my world or shocked me, if that is what you are looking for then I suggest you look elsewhere. This book is meant to be cherished and cuddled with, just how Eleanor and Park cherished each other.